West Brom XI: Myhill, Dawson, Olsson, Evans, Brunt, Yacob, Fletcher, Morrison, Sessegnon, McClean, Rondon. Arsenal XI: Cech, Bellerin, Mertesacker, Koscielny, Monreal, Cazorla, Coquelin, Sanchez, Ozil, Gibbs, Giroud. The Baggies have held on. How? Campbell miss, Cazorla penalty miss, Arsenal left wondering. But West Brom deserve victory for a tremendous display. Arsenal have grabbed the kitchen sink. There are four minutes of stoppage time here. Changed his mind over the retake? Hmmm.. Remember John Terry slipping for Chelsea at a vital moment? Santi Cazorla just replicated that. What a chance for the Gunners and what a horrible moment for the Spaniard. Chris Brunt pulls down Alexis Sanchez. Referee Mark Clattenburg points to the spot. Santi Cazorla to take. Forward Rickie Lambert is on for goalscorer James Morrison. Hector Bellerin plays in a lovely ball from the right that Alexis Sanchez controls with his thigh, but fails to provide a finishing touch allowing Boaz Myhill to collect. Fourteen minutes of the 90 left. NO GOAL, BUT ALMOST OR MAYBE NOT! Anyway, the crowd react thinking referee Mark Clattenburg has awarded a goal, but he hasn't, he has ruled it was offside. England striker Saido Berahino is on for Venezuela forward Salomon Rondon. Joel Campbell, who hasn't really had time to get his boots dirty, miskicks at the far post with the goal at his mercy. Arsenal midfielder Santi Cazorla played the perfect ball in, but the Costa Rica forward got his feet all wrong. His manager Arsene Wenger didn't look to best pleased. Joel Campbell comes on for Kieran Gibbs. The dice has been thrown. Stephane Sessegnon comes off and is replaced by the slightly more defensive midfielder Craig Gardner. Jonny Evans makes a goal-saving tackle to prevent Arsenal midfielder Mesut Ozil from unleashing an effort after he is brilliantly played in by Alexis Sanchez. Albion have been terrific on the break. Chris Brunt's cross from the left goes out for a corner. Nothing comes from it, but moments later the ball is flung into the area and keeper Petr Cech scrambles to clear the ball ahead of James McClean. There's only one way this traffic is heading. Alexis Sanchez wriggles around his West Brom markers and sets up Kieran Gibbs, whose meaty shot is blocked by Baggies defenders. Quote Message: Albion are rocking at the start of the second half, they need to get back to what they were doing in the first half or Arsenal could get back into this. Albion are rocking at the start of the second half, they need to get back to what they were doing in the first half or Arsenal could get back into this. An early free-kick for Arsenal. Mesut Ozil delivers a teasing free-kick which West Brom somehow manage to clear. Arsenal players appeal that Jonas Olsson tugged Olivier Giroud. Hmmm. Then Germany World Cup winner Ozil strikes a low angled shot that comes off the woodwork. And if that is not enough drama for Gunners, substitute Mikel Arteta is replaced by Mathieu Flamini. Another injury?? Looking forward Arsenal manager Arsene Wenger's to the post-match news conference. SteveC:Arsene's decision to become the only club not to sign an outfield player in the top five European leagues has cost us. Big time! Watch Martin Keown and Alan Shearer give their thoughts on this match on Match of the Day at 22:20 GMT. Of little solace at the moment for Arsenal fans, but here's a graphical replay of the goal. Another Mesut Ozil assist - that's his seventh in as many games. Alexis Sanchez (17) won the free-kick, with Ozil (hidden behind Sanchez above) then finding Olivier Giroud to finish. And breathe West Brom fans - 45 minutes from a great win. So close for Arsenal. Kieran Gibbs gallops down the left wing and delivers low cross that is cleared by the Baggies defence. Last-ditch. While I was furiously typing the previous entry, Arsenal's Olivier Giroud and West Brom's James Morrison were shown yellow cards. James McClean has been brilliant today down that left-hand side. He is fed into the area and delivers a teasing low ball which Mikel Arteta inadvertently nudges in at the near post with his hand. So an own goal and handball - shouldn't that be a goal and a penalty? Quote Message: Great response from Albion, we said before the game you could get at the Arsenal defence and they switched off and Morrison certainly didn’t. Great response from Albion, we said before the game you could get at the Arsenal defence and they switched off and Morrison certainly didn’t. Moments after Salomon Rondon almost found himself in the Arsenal area, the Baggies take the lead with James Morrison, to use football parlance, "shinning" his volley from Chris Brunt in-swinging free-kick beyond Petr Cech. Hector Bellerin brings down Salomon Rondon, with the Baggies forward bearing down on goal. The Spaniard was shown a yellow, which is fair because there were Gunners team-mates covering. As I stated, you cannot afford to give away too many free-kicks to this team especially with someone as potent in the air as Olivier Giroud. The France international brushes off his markers to flick in Mesut Ozil's free-kick with his head. That's his ninth goal in 11 appearances. As it stands Arsenal will go top. Another Arsenal free-kick. The Baggies players are biting into tackles but giving away free-kicks. The Gunners have one from 25 yards out on the right. Quote Message: I’ve been impressed with Albion so far - they have been solid and disciplined and Arsenal have played in pretty patterns but they are not hurting the Baggies so far. 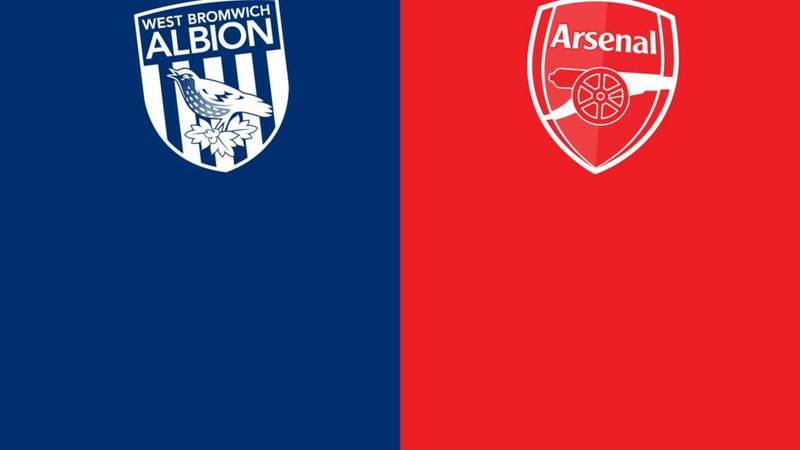 I’ve been impressed with Albion so far - they have been solid and disciplined and Arsenal have played in pretty patterns but they are not hurting the Baggies so far. A lovely Arsenal move around the West Brom 18-yard area, which must have involved a good eight intricate passes, ends in a goal-kick. Sorry about the huge anti-climax, although no doubt Baggies fans will be delighted about how I concluded that last sentence. It wasn't the greatest of efforts to be honest. Chile forward Alexis Sanchez tries one from 20 yards out, on the angle, and it drifts harmlessly wide. The Gunners haven't hit third gear yet. Coquelin has made his way down the tunnel and now Nacho Monreal is down on the ground after a tackle by Stephane Sessegnon. He seems OK to continue. It's a free-kick from 25 yards for the Gunners. Alexis Sanchez takes it but it's easily saved by Boaz Myhill. By the way Mikel Arteta is on for Coquelin. West Brom are desperately trying to win the battle in midfield, throwing bodies into tackles. Arsenal players are giving everything they have too, but it appears Francis Coquelin might have done himself some damage in trying to tackle Claudio Yacob. West Brom's James McClean cuts through Alexis Sanchez and Hector Bellerin, but his excellent delivery across the six yard area fails to find a fellow Baggie. An early warning there from the home side, and a worry for Arsenal fans. Kerry Peter Parvin: Expecting three points here for Arsenal. Going for a 3-0 win with goals from Giroud and Carzola! Arsenal are pressing early. By the way fact fans, a clean sheet for Petr Cech would be his 169th in the league - equalling David James' Premier League record. France's national anthem - La Marseillaise - is being played at The Hawthorns. Premier League chief executive Richard Scudamore said it is an act "solidarity and remembrance" after the Paris attacks, in which 130 people died. Arsenal's two French starters, Laurent Koscielny and Olivier Giroud, who turned out for France at the Stade de France near where the attacks took place, stand with the other players to pay tribute. La Marseillaise was sung before England's win over France on Tuesday and before Saturday's match between Watford and Manchester United. There are 72 French players in the Premier League. The players are in the tunnel waiting to enter the arena. Who's your money on? Use #bbcfootball to let us know your views on this intriguing encounter. "This is a pivotal game for both sides as we enter a period when the games are coming thick and fast. "West Brom's record this season is back to front - they've only won one home game, compared to three away. And they've been porous at The Hawthorns this season - conceding three goals on four different occasions. "They are up against a free-scoring Arsenal side who have 17 goals in their last six games and have won five of their six away matches in the league. The more you look at it, the Gunners should have the beating of the Baggies." "West Brom ended up being beaten but they made things difficult for Manchester United at Old Trafford last time out, and they will do the same to Arsenal at The Hawthorns. "Baggies boss Tony Pulis is plotting his way around the Premier League every week to make sure his side pick up enough points to stay clear of danger, and I think they will get another one here." Read how Manchester United snatched a late win at Watford. Two league defeats on the bounce and talk is, once again, centred on the future of West Brom's star striker Saido Berahino. The 22-year-old, who spent the international break improving his fitness, had in the summer threatened to go on strike if he wasn't allowed to leave the club. Pulis talked him around and is still having heart-to-hearts with the England forward. "I pulled him to one side and he made me a cup of green tea," he said. The Baggies will be hoping to arrest this current run or else the speculation will only intensify over one of the Premier League's hottest properties. West Brom make one change from the side that lost 2-0 to Manchester United, with defender Jonas Olsson in for Gareth McAuley. West Brom XI: Myhill, Dawson, Evans, Olsson, Brunt, Morrison, Fletcher, Yacob, McClean, Sessegnon, Rondon. Arsenal manager Arsene Wenger selects Kieran Gibbs ahead of Joel Campbell. The full-back will play in a more attacking role. Hector Bellerin starts ahead of right-back Mathieu Debuchy. Arsenal XI: Cech, Gibbs. Mertesacker, Koscielny, Ozil, Giroud, Sanchez, Monreal, Cazorla, Bellerin, Coquelin. Celebrity Arsenal fan Piers Morgan is not shy when it comes to airing his views of team manager Arsene Wenger. The tweet above was posted a few days after the Gunners had beaten Manchester United 3-0 in October and two days before their 3-0 win at Watford. Morgan, like some other Gunners fans, are not content with Wenger consistently getting the team into the Champions League and picking up domestic cups here and there. They want the Premier League title. Well, victory at the Baggies would see the Gunners claim top spot; how they hold on to it depends on whether Manchester City defeat Liverpool. So Piers and others will you be wearing your "Love Wenger" or "Hate Wenger" badge by 16:50 GMT? Live text here and you can keep up to date with all the action from today's other Premier League games here.